Venous smart canula mini ® production is ISO 9001 certified and all available types of smart canula mini ® are CE 0344 labeled. Venous smart canula mini ® for either peripheral or central venous cannulation with maximal cannula expansion from 12 F up to 24 F are available. Maximal flow is 5 l/min for the 3/8 inch and 24 F smart canula mini ® and a 20F access aperture as compared to 4 l/min for the ¼ inch and 20 F design. The 53 cm long 24F venous smart canula mini ® is designed for peripheral (femoral) cannulation of the superior vena cava and the right atrium in smaller patients (e.g. 40 kg). It has to be stretched with the corresponding mandrel and inserted over a guide wire. Care has to be taken that the guide wire is positioned in the superior vena cava (check position with TEE). Full flow can usually be achieved with gravity drainage alone and augmentation with a centrifugal pump or vacuum assist is not necessary. Main applications include small access open heart surgery, redo procedures, heart transplant after VAD implantation, etc. The 43 cm medium venous smart canula mini ® is designed for peripheral (femoral) cannulation of the inferior vena cava or the right atrium. It is stretched with the corresponding mandrel and inserted over a guide wire. Care has to be taken that the guide wire is positioned in the superior vena cava (check position with TEE). As a function of body size, right atrial or bi-caval cannulation for full CPB, as well as partial CPB are possible. The 43 cm medium venous smart canula mini ® allow for open right heart surgery without snare around the inferior vena cava and therefore the supra-hepatic veins can be inspected. Typical applications include intra-cardiac repair of congenital heart disease in grown-ups (GUCH), tricuspid valve repair or replacement etc. The 34 cm short venous smart canula mini ® is designed for trans-jugular, or in smaller patients, trans-femoral cannulation of the right atrium. It is important, to check the guide wire position within the caval axis (e.g. TEE), before the stretched smart canula mini ® is inserted from either side. Trans-subclavian cannulation of the right atrium may require curved soft and stiff guide-wires as well as catheters. Full flow can usually be achieved in size matched patients with gravity drainage alone. Augmentation of venous drainage with a centrifugal pump or vacuum assist is not necessary. Typical applications include open and hybrid repair of the aortic arch, small access open heart surgery, remote cannulation for cardiopulmonary bypass in patients with crowded groins, etc. The 34 cm short venous smart canula mini ® can also be used for peripheral (femoral) cannulation of the inferior vena cava. The smart canula mini ® is stretched with the corresponding mandrel and inserted over a guide wire allowing for open right heart surgery with inspection of the supra-hepatic veins. Care has to be taken that the guide wire is positioned within the vena cava (check position with TEE) prior to insertion of the smart canula mini ®. Finally, the 34 cm short venous smart canula mini ® also allows for central, direct cannulation of the inferior vena cava through the right atrium and usually full flow can be achieved with gravity drainage alone through a 20F or even smaller access orifice. For the latter application, it is important to check the guide wire position within the inferior vena cava before the smart canula mini ® is inserted. In size matched patients, augmentation of venous drainage with a centrifugal pump or vacuum assist is not necessary. Typical applications include central venous cannulation in patients with small right atrium, minimal dissection in redo procedures, and crowded right atria (e.g. in the presence of multiple pacemaker leads), etc. 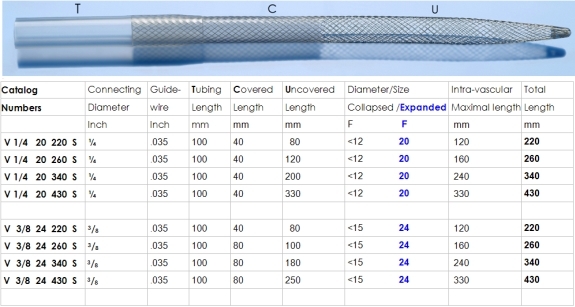 The 26 cm very short venous smart canula mini ® is designed for peripheral, trans-jfemoral or trans-jugular cannulation of the caval axis. The smart canula mini ® is stretched with the corresponding mandrel and inserted over a guide wire. Care has to be taken that the guide wire is well positioned within the caval axis (check position with TEE). Trans-subclavian cannulation of the superior vena cava may require curved soft and stiff guide-wires as well as catheters. Bi-caval cannulation for full CPB and open right heart surgery is the most frequent application. For size matche patients, full flow can usually be reached with dual smart cannulation and gravity drainage alone. Augmentation of venous drainage with a centrifugal pump or vacuum assist is not necessary. Typical indications include minimal access open heart surgery for tricuspid, mitral, and/or aortic valve repair/replacement respectively. Finally, for even smaller patients, the 26 cm short venous smart canula mini ® allows for central, direct cannulation of the inferior vena cava through the right atrium. Full flow can usually be achieved with gravity drainage alone through a 20 F or an even smaller access orifice. For the latter application, it is important to check the guide wire position within the inferior vena cava before the smart canula mini ® is inserted. In size matched patients, augmentation of venous drainage with a centrifugal pump or vacuum assist is not necessary. Typical applications include central venous cannulation in patients with small right atrium, minimal dissection in redo procedures, and crowded right atria (e.g. in the presence of multiple pacemaker leads), etc.